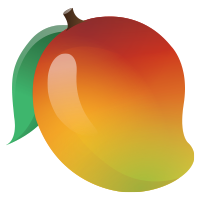 Earning points makes you eligible to win Mango Gifts, which are awarded by raffle each week. As you earn more points, you reach higher levels or Level Up. Higher levels unlock higher value gifts in the weekly drawings. You can browse the gifts that you have a chance to win by tapping the 'Points' section on the home screen. On the next screen, tap 'Info' in the top right corner to see how many points are required for each level.